Happy Saturday, all, and a very happy Mother’s Day Weekend to all the Moms, Aunts, Grandmas, and wonderfully maternal females in our community! 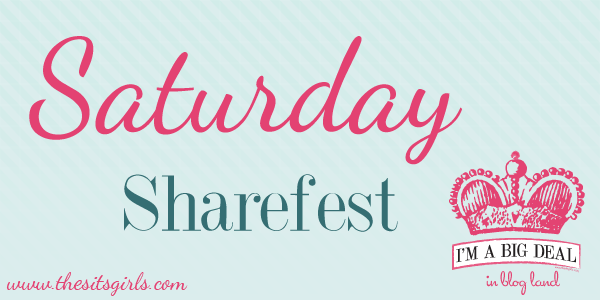 Let’s spread some love with our world famous Sharefest, shall we? Lisa over at Notes From The Shallow End shares a hilarious post about the processed foods from our childhood which are no longer available– and for good reason! Michelle Mossey takes a cue from Eminem and cleans out those ol’ closets. Inspiring, no? Link up your post using our weekly Linky. 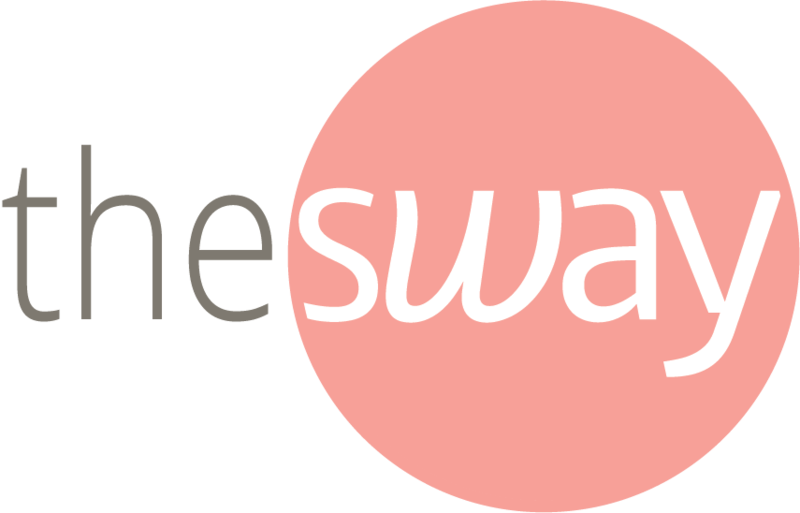 This makes it easy for people to find your content AND for you to visit your fellow bloggers. Even a visit to one or two people ahead of you in the Linky can make all the difference in the world! We have a Pinterest board on The SITS Girls just for our Sharefest participants. Our community leads will be helping to pin content that really stands out, so be sure that your posts include a pinnable image! 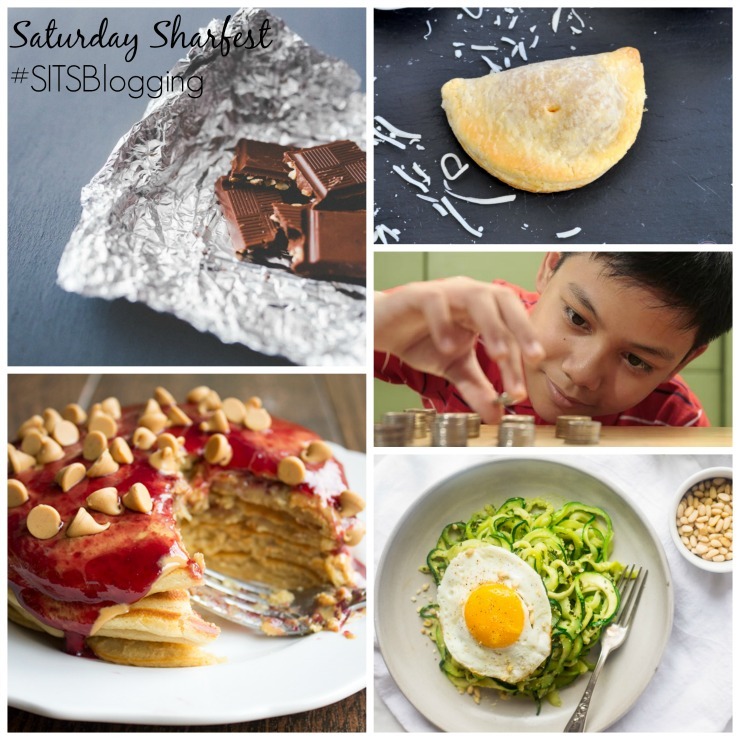 Finally, definitely don’t forget our #SITSSharefest Twitter Party happening at 10:00 AM EST / 7:00 AM PST on Saturdays. It’s a great way to get one of your posts some extra love on Twitter! Now get out there and love on all those awesome females in our community. Next week we could be featuring you! Keely, a playwright and blogger in Chicago, resides with her husband and three young kiddos in a home held together primarily with duct tape. Follow her constant reality slaps at Lollygag Blog, Facebook, @LollygagBlog on Twitter and Pinterest, or at the tamale stand on the corner. Marvelous Guidance, thanks for the tips. For the purpose of people today who just require to get rid of fat immediately, consider our website for the ideal route to shed unwanted pounds almost instantly. I asked for “peace and quiet” for Mother’s Day and am going to enjoy the next hour reading through these linkys. 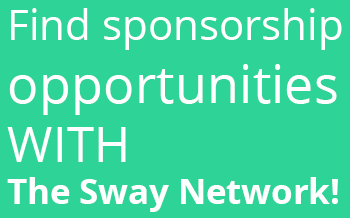 Thanks for hosting and thanks to everybody for contributing! It’s been a while since I’ve participated in Saturday’s sharefest so I’m glad to be here this week. My favourite post this week was my monthly update, on how everyone is doing on sticking to their New Year/monthly fitness and nutrition related resolutions/goals. I also focused on the importance of a good support system being in place. Hoping everyone has a great Mother’s Day. have a great Mother’s day weeknd! Happy Sits Sharefest Everyone! I’m putting in a little work today because tomorrow I am doing absolutely nothing. Gonna enjoy Mother’s Day with the family and rest, rest, rest. My linky didn’t post the full title to today’s post: Painted Votive Candleholders. Thanks! Happy Saturday! I’m exhausted from volunteering yesterday to help build a Habitat for Humanity house. So much fun though! Happy Mother’s Day to all the moms! 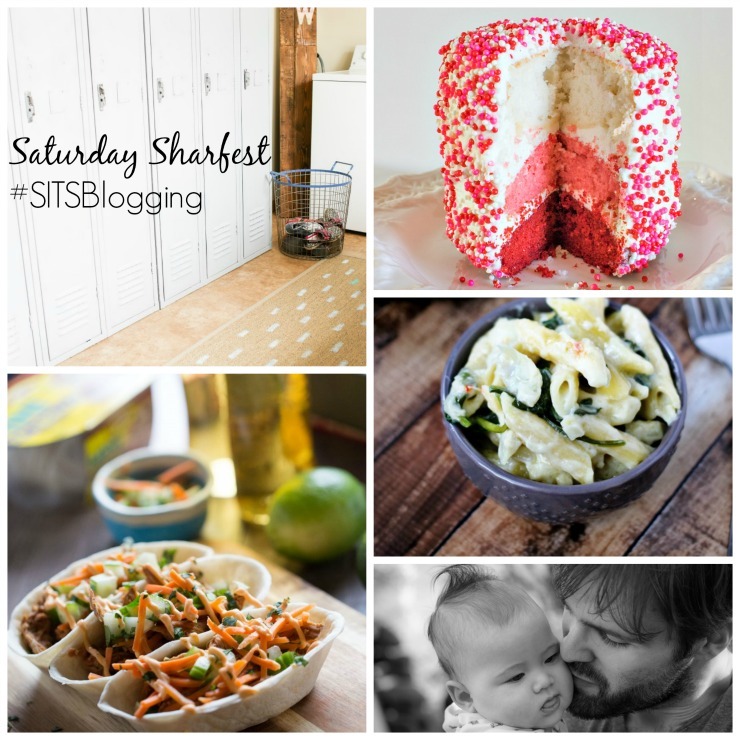 Fun as always on the SITSSharefest! Happy Mother’s Day Everyone. I’ve been MIA from Sharefest for a few months (Weekends with the family has become super busy) But I’m so glad to be back. Looking forward to checking out new blogs. Off to workout. Happy Mother’s Days to all of the mothers. Have a nice weekend everyone!!! Thanks for participating in the Sharefest this week, friends! Please keep leaving your linky in the comments today!! May is Maternal Mental Health Awareness Month. Thanks for reading and sharing. Hi SITStah’s! I shared some social media safety tips for parents this week. It also includes free tools you can use to monitor your teen’a social media activity. Come on by and comment! Happy Sharefest, everyone! have a wonderful weekend and a fantastic Mother’s Day!! Off to visit some sites to read and comment. It’s been a busy week. So looking forward to the weekend. Love SITS Sharefest! My Fave post of the week is a little long, but so relevant! On Happiness…. We have a furiend who needs our help. Lexi was surrendered after being neglected *was kept in a room & only let out to go potty * She NEEDS to have surgery for bladder stones as she is in pain & pees blood = ( She also needs to have several teeth pulled as they have rotted Cant imagine those feel good either. Without the surgery, there is a good chance Lexi will die. Lexi is all of 5 1/2 years old and has a lifetime to live life to the fullest. She will available to adopt once she gets a clean bill of health. Won’t you donate to help Lexi? Good morning! My favorite entry of the week is what I want for Mother’s Day! Happy Saturday and happy Sharefest ladies! My favorite post this week was about my adventures getting my last name changed at the social security office. Enjoy your weekend! I’ve been making a lot of gift baskets this week! The teachers loved them so much! Happy Saturday! My favorite post this week was about sunblock, which I believe is sooo important year round. Looking forward to visiting you gals. Have a great weekend. I’m sorry for commenting twice, but I’m confused about whether or not we’re supposed to put our links here, or in a Linky…I don’t see one? So anyway, here is the post I’d like to share! Happy Mother’s Day to all the other mamas out there!!! I do not see the Linky up yet, it should be soon when you can re-enter your post! 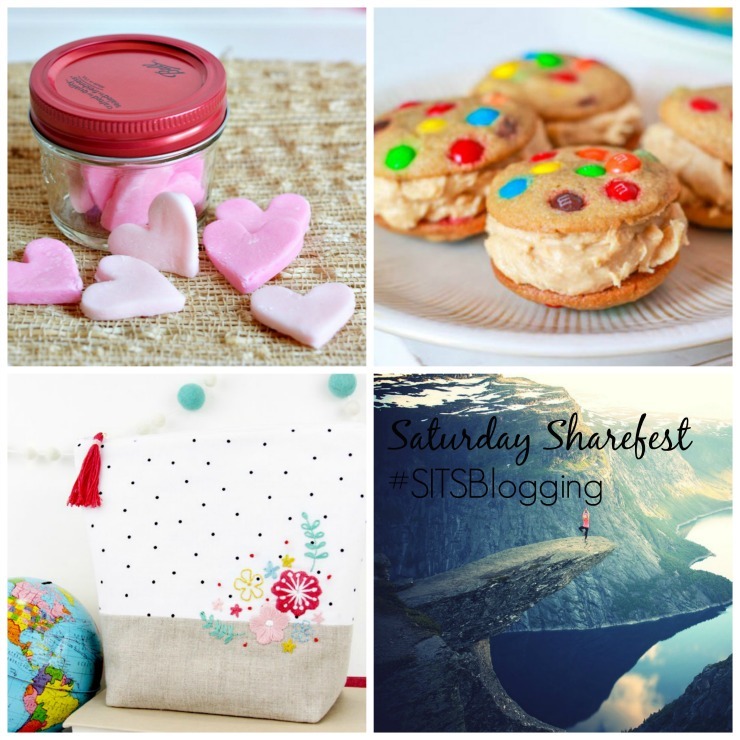 Looking forward to my FIRST Saturday Sharefest with the SITS Girls! Welcome to your first Sharefest. I hope you have a great time. The linky is not working today so feel free to leave yours in the comment section!! Thanks! Looking forward to sharefest! I need to do this more. Have a great saturday everyone! This was great! Thanks for sharing!!! Happy Mother’s Day to all the lovely ladies!